There are hundreds of castles in Wales. Which one will you visit? 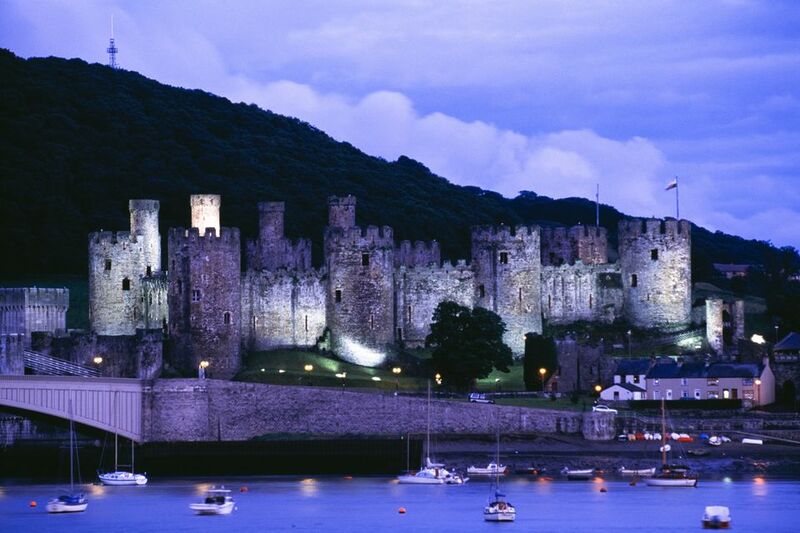 The Welsh like to tell you that they have 427 castles scattered around their part if the UK. They probably do, but at least 200 of the castles in Wales are little more than crumbled ruins or earthworks that, to the untrained eye, look like natural features on the landscape. Still, that does leave 200 castles in Wales worth visiting. Where do you begin? One approach is to understand a little bit about the different periods of castle building and then to choose some good examples of the kinds of castles in Wales that interest you the most. So here's a quick rundown on the Welsh castle builders, along with recommendations of the best examples. History, as you probably know, is written by the victors - who also do a pretty good job of moving in on anything good the losers have left behind. The princes of Wales built stone castles in Wales to defend themselves against invading Normans and, later, the English. Most ended up being incorporated and built over by successive waves of victors -- though the Welsh national hero Owen Glendower did win back some. One of those he captured back was the spectacular clifftop ruined Castle in Wales Carreg Cennan. Click here for a map that will help you find the ruins of some more castles of the Welsh princes.